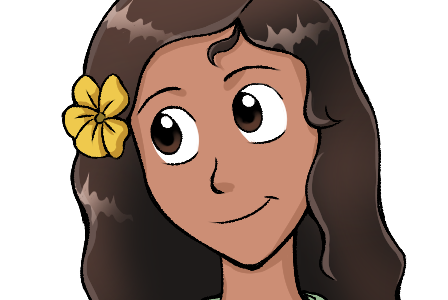 Sunshine is a native Hawaiian who also moved to Centerville as a refugee with the rest of her family. Sunshine is very eco-concisous and her favorite pet his a ferret named Ferdinand. She is good at designing RoboBattlePets, but perhaps a bit too nice in tournament battles!